In science and engineering education, the use of heuristics has been introduced as a way of understanding the world, and as a way to approach problem-solving and design. However, important consequences for the use of heuristics are that they do not always guarantee a correct solution. Learning by Design has been identified as a pedagogical strategy that can guide individuals to properly connect science learning via design challenges. Specifically, we focus on the effect of simulation-enabled Learning by Design learning experiences on student-generated heuristics that can lead to solutions to problems. A total of 318 middle school students were exposed to a lesson that integrated design practices in the context of energy consumption and energy conservation considerations when designing buildings using an educational CAD tool. The students were pre- and posttested before and after the 2-week long intervention. The data analysis procedures combined qualitative with quantitative methods along with machine learning approaches. Our analysis revealed two distinct groups of students based on their learning achievement: the naive developing heuristic group and semi-knowledgeable fixated heuristic group. Differences between the groups are discussed in terms of performance, as well as implications for the use of computer simulations to improve student learning. This research was funded by the US National Science Foundation under the award DRL #1503436. Informed consent and parental consent were obtained from all individual participants included in the study. Dasgupta, C., Magana, A. J., & Vieira, C. (2019). Investigating the affordances of a CAD enabled learning environment for promoting integrated STEM learning. Computers and Education, 129, 122–142. https://doi.org/10.1016/j.compedu.2018.10.014. Seah, Y. Y., & Magana, A. J. (2019). Exploring students’ experimentation strategies in engineering design using an educational CAD tool. 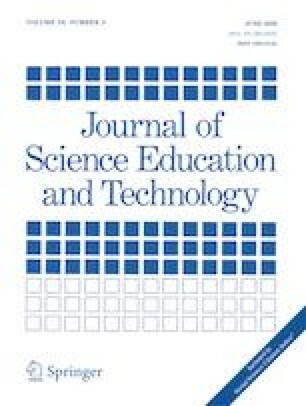 Journal of Science Education and Technology. https://doi.org/10.1007/s10956-018-9757-x.